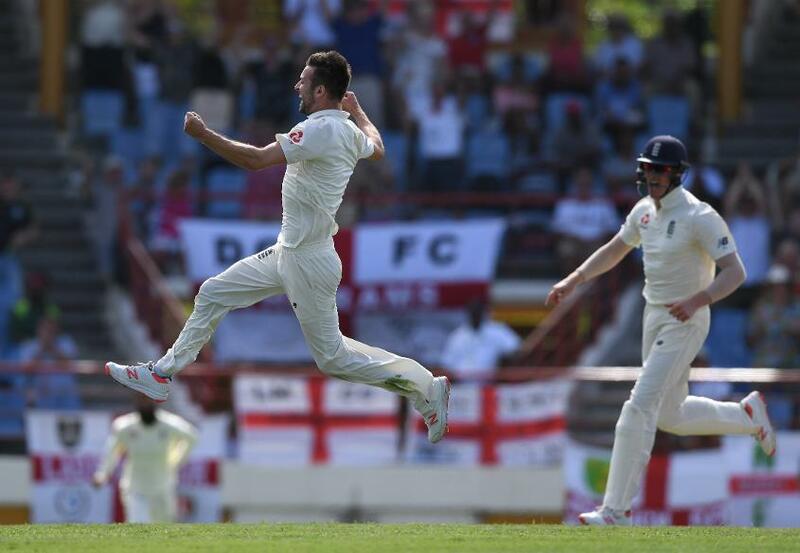 Mark Wood, the England pacer, was delighted after clinching the first five-wicket haul of his international career on day two of the third and final Test against the Windies. After England were bowled out for 277 on the second morning, Wood shouldered a bulk of the bowling responsibility in the second innings. He returned 5/41 in just 8.2 overs and crippled the Windies batting line-up. "It's a day I'll never forget. Any time it's not going quite right I can look back on this game and have fond memories," said the pacer after the day's play on Sunday, 10 February. "I've had some horrible dark days with injuries and things like confidence and self-belief. I thought in my own mind I was an England player but I hadn't shown it. I felt like today I've shown I am an England player." Wood's scalps in St Lucia included Shai Hope, Darren Bravo, Roston Chase, Shimron Hetmyer and Shannon Gabriel. The 28-year-old was pivotal in restricting the hosts to 154, as England capped the day they started poorly with a 142-run lead under their belt. "It's nice to show some people who've probably doubted me in the past," added Wood. "I've even doubted myself that I can do it, but I wouldn't say I'm out of the woods yet. "[There have been] times where I had no confidence slamming my front foot down. There were times when I was desperate to do well, trying my hardest, but it just wasn't quite happening for us but luckily today is a day when it's clicked." Wood travelled to the UAE with England Lions to face Pakistan A last year. This helped him get into a good vein of form, as he started the tour with five wickets in the only Test. He continued to impress, claiming seven wickets in the subsequent limited-overs games. "I felt I was actually here on merit," he added. "I felt because I'd done well there [in UAE] it merited my spot being here and this time I wasn't picked on potential, I deserved it." The seamer altered his run-up leading up to the Caribbean tour, a move that has helped him exert more pace on the ball. He clocked the fastest delivery of the series – 152.24 kph – during his spell. "I just don't feel like I have to force it as much," he said. "I'm still hitting the floor, but with more momentum, more rhythm. Before, I had to get up to speed quick and to get up the high pace, I had to muscle it a little bit whereas now I feel in more rhythm, and I can get in the spin of things and today it just clicked.